Mal Bantz’s recent passing left friends and family deeply saddened, although they were aware of the health challenges he had courageously faced during the past few years. Mal was born in Chicago, Illinois on April 29, 1935 to parents Edith L. Badgley and Ernest Malcolm Bantz, Sr. His mother attended The University of Kentucky and his father was a decorated veteran of the 1st World War, and a graduate of Northwestern University. Mal leaves behind his beloved wife of the last 44 years, Marlene, his daughter Michelle, and step children Jerry, Renee, Vickie, John and 22 grandchildren and great grandchildren. From his first marriage he leaves two much loved children; his son, Wade Bantz, four grandchildren, daughter Cathy Plastino and two dear grandchildren. He also leaves his dear sister, Lenore McCracken, of Oakland, California and several dearly loved nieces and nephews, along with adopted brother John Byers of Hollywood, California. 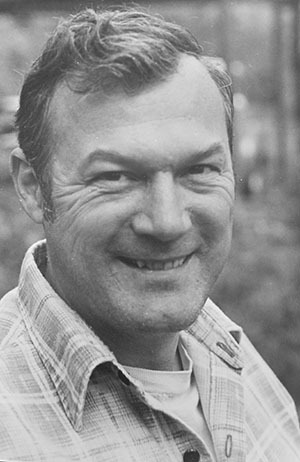 Mal spent his early childhood in Braeside, Illinois on the North Shore of Chicago, and then moved with his mother, sister and brother to a ranch near Ohop, Washington in 1943. While living at the ranch a small plane crashed in the ranch’s meadow and triggered his life-long love of flying. He enthusiastically set about trying to repair the plane, as young as he was, but with no luck. In 1952 the family moved to San Diego, CA where Mal followed his passion for flying and joined the U.S. Air Force. He also met and married his first wife, Sandra, and they were assigned to Moses Lake Airfield in Washington State. After the Air Force he was offered the opportunity to fly for two major airlines, but because of family obligations he accepted aeronautical mechanical training which allowed him to work for P S A, an early airline pioneering in regional flights, and then for World Airways as a flight inspector. In the meantime he earned his pilot’s license and instructor’s license, his helicopter license and was licensed to fly multi-engine planes. After the stint at World Airways he spent several years patching up and ferrying empty passenger planes for various charter airlines from the Middle East back to the U.S. The airline industry hit a slowdown at this time, which forced Mal to change his focus. He and his family had moved to Northern California, and after his divorce he returned to western Washington, where he met and married Marlene and began a new chapter in his life. He has lived in Eatonville, Washington for the last 40 years and operated a successful service and repair business until his retirement. His love of the mountains and rivers of Washington is well known, and his love of life, appreciation of a glass of wine and a good cigar — and his infectious laugh will be sorely missed. Services are scheduled for 1pm Saturday June 30th, 2018 at the LDS church located at 900 Erin Ln W, Eatonville, WA 98328 with a reception afterward at the church. In lieu of flowers please consider contributing to gofundme.com\mal-bantz-memorial-fund.